Although the thought of sitting in a dentist's chair makes some people anxious, the potential cost also drives many away. If you have dental insurance through your employer—or you can afford to purchase it for yourself—you'll want to choose a plan that covers the dental care you and your family will need now and in the future. According to the American Dental Association, the cost of dentistry is a barrier to care for many consumers—more so than it is for medical care, prescriptions, mental health care, or vision care. But on the plus side, dental costs tend to be easier to anticipate (and smaller) than the wide range of medical bills that any of us could experience at any time. Some dental care will still be an out-of-the-blue emergency, such as breaking a tooth. But less obvious dental needs often can be predicted (or avoided!) by regular, routine cleanings and checkups that include diagnostic x-rays to assess the overall condition of the teeth, gums, and jaw. Other needs to consider are whether you or a family member may require specialty care, such as braces or other orthodontia, dentures, tooth implants, crowns, or bridges. While most dental insurance plans will cover at least some of the cost of these more expensive treatments, the patient will tend to be on the hook for a significant amount too. On the other hand, many dental plans cover the lion's share of the cost of more routine care, such as exams, cleanings, and fillings. What's Included in a Dental Plan? Routine and preventive care: These include periodic checkups, cleanings, x-rays and fillings; fluoride and sealant applications to prevent cavities; and certain types of oral surgery, gum care (also called periodontics) and root canals. Emergency care: This includes cracked or broken tooth repair or extraction and treatment following an accident involving the mouth and teeth. Complex care: This includes orthodontia, dentures or bridges. Many dental plans cover about half the cost of these types of procedures. Freedom-of-choice dental plans, also known as dental indemnity plans, offer the highest level of flexibility, since they do not have provider networks. The member is free to use any dentist, and the plan will reimburse based on its fee schedule. But that doesn't mean the plan will cover the full cost; the member is responsible for paying the difference between what the dentist bills and what the plan pays, and some dental indemnity plans have very low coverage limits. Many dental plans are managed-care plans that require patients to choose from a pre-approved list of dentists in a network of providers who have agreed to discount their fees. These plans can be dental PPOs or dental HMOs, and the rules are fairly similar to medical PPOs and HMOs, with the latter generally not providing any coverage if the member receives care from a dentist who isn't in the plan's provider network. Because dental HMOs tend to be more restrictive and do not cover out-of-network care, their premiums also tend to be lower than dental PPO premiums, if the coverage amounts are similar. But you can get a dental HMO that's more expensive than a dental PPO, if the HMO provides higher coverage amounts and has a larger benefit limit. Dental indemnity plans will tend to have the highest premiums for comparable amounts of coverage, since they provide the member with the most flexibility. But you'll often find that the available dental indemnity plans have lower coverage amounts, which offset the flexibility the plan gives you in terms of picking a dentist. There are also dental discount plans, which are not actually insurance. These plans provide a discount when you see dentists who have agreed to be part of the discount plan's network, but the plan itself doesn't pay anything towards the cost of your care—you pay for your own treatment, albeit at the discounted rate. Dental discount plans tend to be less expensive than dental insurance, and they generally don't have any waiting periods before you can start receiving discounts (dental insurance plans often have waiting periods before benefits take effect, particularly for high-cost dental care). Starting in 2014, the Affordable Care Act began requiring all new individual and small group health plans to provide coverage for ten essential health benefits. One of those benefits is pediatric dental care. But the rules for pediatric dental coverage aren't the same as the rules for other essential health benefits. If you purchase health insurance in the exchange in your state, it might or might not include pediatric dental coverage. As long as there's at least one stand-alone pediatric dental plan available for purchase, insurers aren't required to incorporate pediatric dental coverage into the medical plans they sell—unless a state requires it, and some do. If you buy a stand-alone pediatric dental plan, it will cap total out-of-pocket costs for pediatric dental care. This is in contrast to most adult dental plans, which cap total benefits instead. In other words, most adult dental plans limit how much the plan will pay for your care (usually in the range of $1,000 to $2,000 per year), whereas the ACA requires pediatric dental plans to limit how much the member has to pay in out-of-pocket costs, and there's no limit to how much the insurance plan might have to pay. If you buy a medical plan that includes embedded pediatric dental coverage, the plan can be designed so that the pediatric dental costs count towards the plan's overall deductible and out-of-pocket limit. Total out-of-pocket is still capped, but if a child needs only dental care during the year, the family's out-of-pocket costs might be higher than they would have been with a stand-alone dental plan, since the overall deductible on the health plan will tend to be higher. Dental coverage for adults was not addressed in the Affordable Care Act. There are a variety of adult dental plans available for sale, but they are not regulated by the ACA. If you get your dental insurance through your employer, you might only have one plan option available. But a larger employer might offer you a choice of plans, and if you're buying your own dental insurance, you can select from among any plan available in your area. So how do you choose? The two biggest factors are likely to be which dentists you can see, and the amount of out-of-pocket spending that you feel you can comfortably handle. As described above, some plans will let you see any dentist, while others will limit you to dentists in a particular network. But while a plan that lets you see any dentist sounds good at first, it might not be the best choice if it has lower reimbursement rates or a smaller benefit limit. A plan's affordability is based on its premium payments (often deducted directly from your paycheck, if your employer offers insurance) and on the portion of dental costs that you have to pay yourself, either because the plan doesn't cover them or only covers part of the cost. For example, a low-premium dental plan might cost you less in terms of how much you pay to buy the coverage, but you may find that you end up footing a significant portion of the cost of complex dental treatments like bridges, implants or braces—it may not be the bargain you'd hoped for. Conversely, it might be overkill to pay high premiums for a top-of-the-line dental plan when your dental history is uncomplicated and you only need the dentist to clean your pearly whites twice a year. Before choosing a dental plan, visit your dentist and undergo an exam that includes a set of diagnostic x-rays. Have your dentist assess your overall dental health and determine what, if any, complex procedures you might need in the near future. This needs assessment should point you in a firm direction as to what level of insurance would best protect you and your wallet. Although it won't make choosing a plan easy, it will simplify your options and needs to determine the optimal match. American Dental Association. Mouth Healthy. 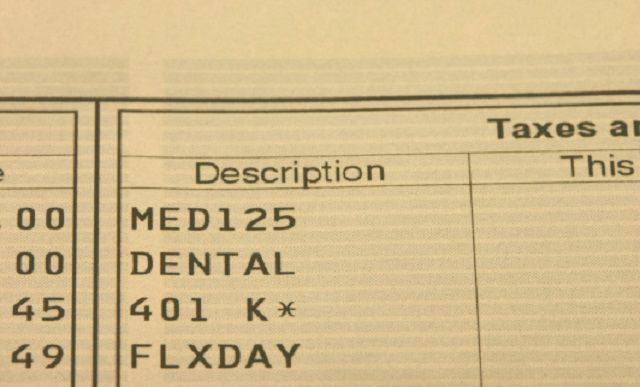 Dental Benefits: Paying for Dental Care. DentalPlans.com. PPO Dental Insurance vs. HMO Dental Insurance. HealthCare.gov. Dental Coverage in the Marketplace. American Dental Association. Health Policy Institute. Cost Barriers to Dental Care in the U.S.